We’ve previously mentioned the fantastic bike park at Westburn Reserve where young new riders can try out their wheels on a mock street layout, complete with traffic signs and markings. Now it appears there are plans afoot to repeat the dose on the other side of town. Late last year, the City Council consulted on a draft Bexley Reserve Concept Plan to update this recreational space in the east, which had been damaged by earthquakes. 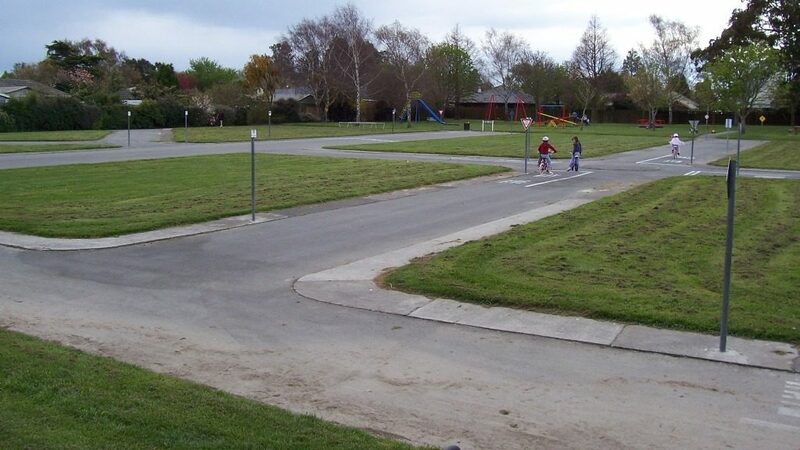 Amongst the proposed ideas were the relocation of the existing BMX, MTB/walking tracks around the perimeter, a “pump track” and dirt jumps, and a new cycle safety practice area, just like Westburn. They also proposed to upgrade the existing very handy bike path connecting Bexley (Anzac Dr / Bexley Rd) with Aranui (Rowses Rd / Rowan Ave). The feedback on the draft Plan was reviewed and next week, the final Concept Plan is being presented to the Burwood/Pegasus Community Board for approval. Generally there was good community support, although a bit of concern about additional noise. Interestingly another concern was safety and security – some submitters felt that the potential increase in numbers of people in the reserve may encourage “theft or trouble making” near adjacent properties. As Council staff quite rightly pointed out, in fact increased people and activity in the park is likely to reduce rather than encourage such behaviour because there will be more informal surveillance from users of the park. 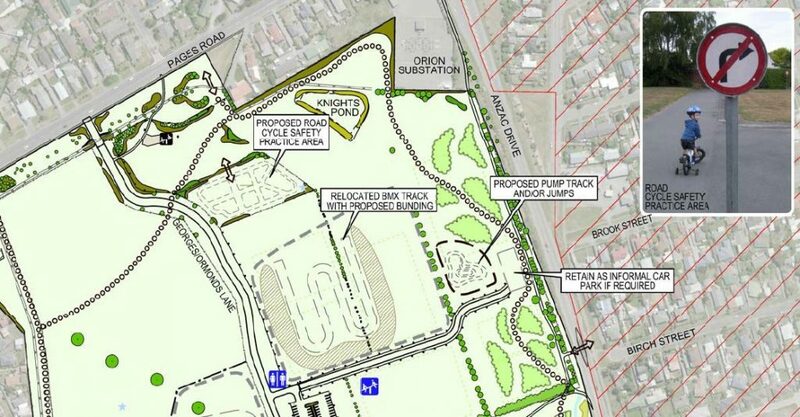 The total estimated cost for the Park redevelopment is $1.2million, including $350,000 for the MTB/walking tracks, $50,000 for the pump track/jumps, and $60,000 for the cycle practice area (there’s also things like playground upgrades, dog park development, and toilet facilities). Probably not much will happen immediately because it will miss the current Draft Three Year Plan funding being finalised right now. It is more likely that it would be put into the next Council Long Term Plan and be slowly developed over a number of years from 2016 onwards. 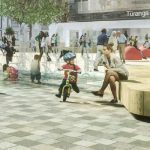 So it may not be an overnight improvement, but it’s great that the Council are thinking about opportunities for recreational cycling and learning to ride. What do you think of the proposals? Would you like to see them sooner? Next Next post: Can You Ride Two Abreast?